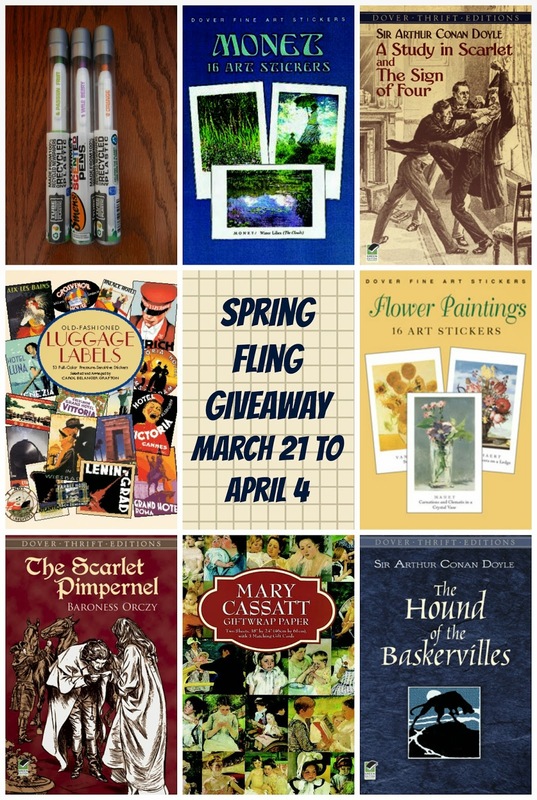 celebrate the spring equinox with a giveaway hop! 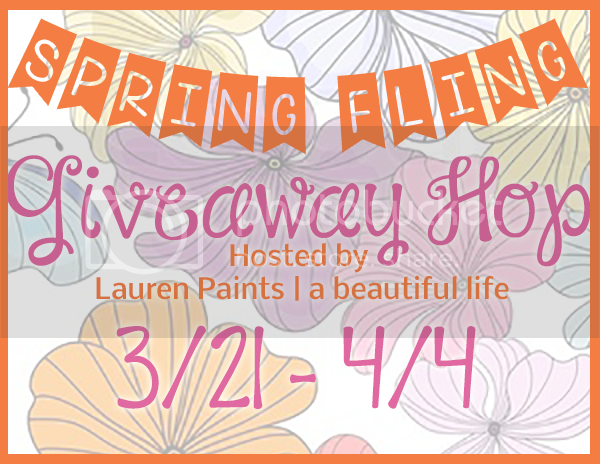 a $100 Kohl's Gift Card over on Lauren Paints! Total value of my giveaway is over $30! Interested in winning? Contest is open in US and Canada, just follow the Rafflecopter giveaway below. And once your done with that, scroll down for more giveaways! Disclaimer: This contest will run through 4/4/2014 at 11:59 pm EST. Please note, Lauren Paints | a beautiful life AND Chair in the Shade are not responsible for sponsors that do not fulfill their prizes, please contact laurenpaintsflorida@gmail.com if you have any questions or if you are interested in participating or sponsoring a future event. And don't forget to enter to win my Craftsy Artisan Bread Making Class giveaway by clicking this link! Open worldwide! I watched some travel show on PBS a few months back and they were in Key West. Seems like it'd be an interesting place to visit. Singapore!! I went there from Bangkok and totally loved how clean it was, how the flowers smelled so amazing and how no one spits or chews gum! PS- I am a Canadian - yay! wow looking at the amazing places everyone else has been I feel even more sheltered! I have lived in Maine my entire life, the only places I have ever been were Atlanta and Detroit! Heather, I would love to visit Maine. I don't get out of the midwest very much. :) But I've always thought Maine has lots of natural beauty. I am from Canada and would love everyone to explore our country... east or west or north... we have so much to offer and Canadians are friendly and cheerful everywhere!! I've been to camping in Canada as a kid, but I'd love to explore it more. My family loves going to the cabins in TN...the lights and snow are beautiful around Christmas. I used to live in Canada and one sight not many people seem to visit is Lynn Canyon, it's gorgeous and has a suspension bridge over some glacier water. You can see some really large waterfalls and the blue green water rushing by. There are really nice paths you can hike along and a spot to set up for picnics. There is also an area set up with the history if you're interested in that. That sounds beautiful! I'm a big fan of hiking and waterfalls, so that sounds right up my alley! My favorite place to visit is the Grand Canyon. Everyone should visit Denmark at least once. Zion's national park in Utah. It's beautiful! Just don't go during the hottest part of summer. Those red rocks get HOT! The place I enjoyed the most was Alaska in the summer. All around Florida! Universal Studios, Busch Gardens, Downtown Disney, etc. I wish I was there now! :(. I haven't really traveled anywhere! I went to Chicago for a week and that was about it. It was awesome though! Wyoming is often overlooked as a beautiful place. I think b/c they run the interstate through the most barren parts, however, if you get off the beaten path there is a lot of gorgeous areas. More than the obvious and well visited Yellowstone or Devil's Tower, the lesser visited Medicine Bow National Forrest is a fine place for nature lovers. Orlando, Florida! Walt Disney World is amazing! I think everyone should visit the Smoky Mountains. It is a beautiful place. I don't travel much but Guatemala is beautiful and interesting. Nowhere interesting! I'd love to go to Hawaii one day! Florida, everyone should experience Florida once in their life, whether family, romantic, nature or beach lovers, you can find something to do. I think everyone should visit Puerto Rico at some point. The architecture and beaches are breathtaking. Turks and Caicos.... absolutely stunning, super-expensive though. Well you've gotten far without flying! I too have never flown. But I actually love car trips, so it's okay with me. I think London is somewhere everyone should visit. If you had the option, I would say Stuttgart, Germany. I was there while in the military for a little over a year. It's definitely worth the trip. South Dakota - it is ruggedly beautiful. Wow one place I think everyone should visit is definitely the Grand Canyon, take the railroad in a observation car, spend the night at the Canyon and if you can get up early and see the sunrise, or at least see the sunset it is beautiful. Hmm, well my two favourite trips have been driving across Canada and going to Cancun, Mexico. Quebec has some great scenic and historic places to visit, same with all the Maritime provinces. PEI is really neat. Well I haven't been a broad traveler. Mostly here in the midwest. But that doesn't mean they don't have their magical places. Such as Holland Michigan (Has the tulips and the old fashioned town), The Henry Ford museum in Michigan. Western Wisconsin, rolling beautiful hills, farm land, Amish folks, good food. Great place to camp and enjoy nature. Western Tennessee in the Land between the lakes. Gorgeous rural country. I think I should return to Alaska. What a beautiful state! Seriously. It is definitely worth it. Hike Harneys Peak. Drive the Needles Highway. See Mt. Rushmore. The Badlands are relatively close by, but not in the Black Hills. I think everyone should go to Nashville at least once! I haven't really traveled much, but here in Oregon is a lot of gorgeous scenery to take in. alona y. So many places are stunning, but I think Niagara Falls tops them all. Where else does the very ground vibrate as you get bathed in mist and soak in quirky history? Also--I want to win this package SO bad! Have wanted to read "The Scarlett Pimpernel" forever and am a big fan of Impressionist art. Thanks for the chance! Paris in September, truly beautiful. London. Everyone should visit London. I never really go anywhere but I love San Diego, San Francisco, Las Vegas, and Monterey. I think everyone should visit Vegas! It's fun for all ages! I had an absolute blast there. Buenos Aires, Argentina. Visiting foreign cities is a great learning experience. I think everyone should visit Belize! I absolutely love going to North Conway, New Hampshire, any time of the year! In the summer there are some cool theme parks for kids, Story Land, Santa and Wild West. They have trails along the many rivers and streams We especially love going to the hidden caves. It is a long trail where you can go into a lot of cool caves. There are tons of outdoor sports to do including fishing, kayaking, canoeing, swimming and so much more. There are many places where you can rent equipment. They have a really cool mini golf place called Pirate's Cove that has two courses to choose from. In the winter, you can go skiing, skating, sledding, etc. To top it all off, shopping is tax free in New Hampshire. They also have the cheapest liquor of any State! The restaurants are great too. They have chains like Applebee's and 99 and many local restaurants with outstanding food. For accommodations, I recommend either the Comfort Inn at Pirate's Cove, or my personal favorite, Residence Inn by Marriott. Please consider going. You will not be disappointed! For US citizens, it would be Washington D.C. But, I think everyone should visit their own national capitol. I won a trip to Seattle a couple years ago I think everybody should try to make it there its awesome! I think everyone (especially if you live in the north) should go to the south of Florida in the middle of winter. it is wonderful! I think everyone should go to the Grand Canyon! I would love to go to el salvador that is my dream, my husband is from there, but everyone should go to vegas!! I live in the Pacific NW. Crater lake is magnificent! And it's completely surrounded by more great geologic features. Thailand, but both the big city where all the money is, and the little villages that'll make you appreciate what you have. Haven't traveled much but everyone should go to the NC coast. I think that everyone should go to the Rocky Mountains in Canada. They are beautiful. Unfortunately, I have never been anywhere. I have always wanted to go to Australia. Wiesbaden, Germany. I loved it when I went there. Ireland. It is incredibly beautiful and serene.